Click the picture above to see the video of 1482 Frontera! THIS IS THE ONE!!! Beautiful, Spacious and well maintained 6 Bedroom, 5 Bathroom home located on a large corner lot in Alta Vista Heights. Close to schools and Jacoby Golf Course. 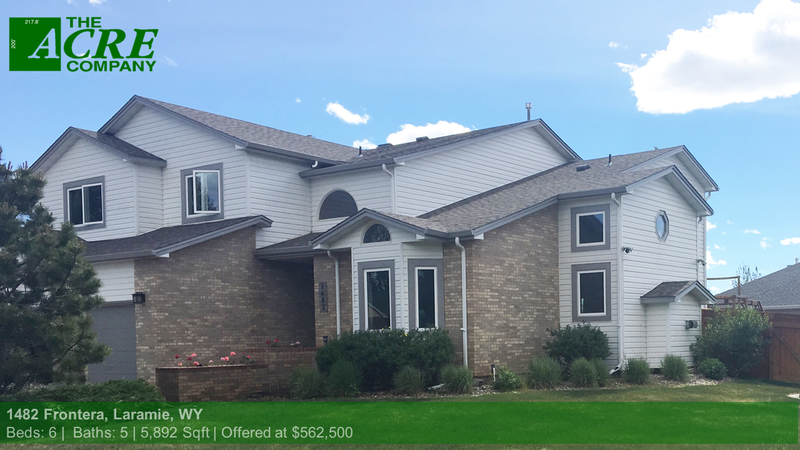 This home offers a spacious floor plan with an updated, large eat-in kitchen, formal dining room, update family room that includes a wet bar and Wyoming snow fence on the gas fireplace surround. Formal Living Room has 2nd gas fire place and separate office space with built in organization. Features include a Master Suite with walk-in closet and updated Master Bath with free standing tub, 4 bedrooms, 2 additional full bathrooms and a bonus room all on the same level. Enjoy time in the enclosed, , screened sun room with attached deck, perfect for year round enjoyment. Abundant natural light throughout. This home also features ample, accessible storage along with a 3 car garage and built in mudroom storage.The roof, windows and Air Conditioning unit have all been replaced in the last 3 year and a newer back yard fence. This home is perfect for both Entertaining and comfortable, spacious Living. Included: Kitchen Appliances ( Range, Refrigerator, Built-In Dishwasher, Built-In Trash Compactor ), Window Coverings And Wooden Yard Shed. Air Compressor In Garage. Room 12: Master BedroomSecond Level15'4" X 19'5"
Room 15: BedroomSecond Level12'8" X 14'4"
Room 16: BedroomSecond Level13'4" X 10'11"
Room 8: BedroomBasement12'4" X 10'9"